Having experienced two pregnancies with only 17 months apart Margarita fully understands what can happen to our bodies and how they change. Margarita will help you through your pregnancy. She will help you to manage your weight and prepare your body for the changes that happen through each trimester. From the start of pregnancy our hormones change affecting our body, from our muscles to our joints, to our digestion. Margarita has trained many women from the start of their pregnancy all the way through to the end. She has worked with mothers that are expecting twins as well as conditions such as gestational diabetes. Margarita will keep you strong and give advice to help you improve your posture, prevent some of the issues that can arise during pregnancy like SPD, but most importantly aid with preparing your body for labour. Many of the issues that arise during pregnancy like backache, water retention or even Symphysis Pubis Disorder SPD (which is when the separation of your pubis is increased more than the usual 3 – 4cm) can be helped or even prevented with exercise. 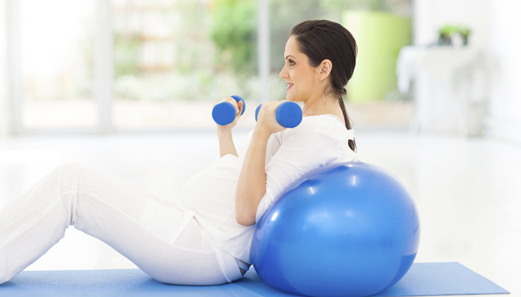 Moderate controlled exercise during pregnancy can help with the points above but it can also improve circulation, sleep patterns, varicose veins, haemorrhoids, leg cramps, constipation as well as postnatal recovery. I did weekly prenatal classes with Margarita from my fifth month of pregnancy right up to a few weeks before my baby was born. The classes were great. They really helped me to maintain gentle fitness and ensure I did all the right kind of movements and stretches while pregnant. Margarita knows the anatomy incredibly well and would give us individual attention based on our particular needs or how difficult we'd find each exercise. She never pushed us beyond what we could comfortably manage and each class was a good mixture between a gentle work out and relaxation. Towards the end of my pregnancy, margarita also helped with positions that could help me relax at home and relieve the pressure I felt in my pelvis, but also positions that I could use during labour in order to keep moving, stay as comfortable as possible and also help the baby on its way!